17315 Pirate Cir Gulf Shores, AL. | MLS# 267617 | Avast Realty LLC | 205-951-8992 | Your Ultimate Resource in Real Estate. Let's guide YOU home! 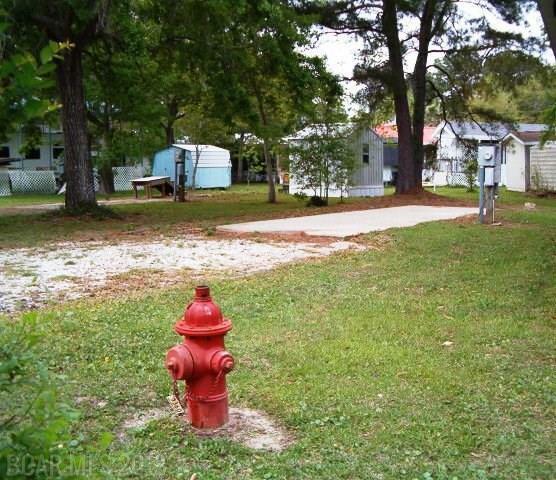 GREAT RV PAD WITH VIEWS OF THE BON SECOUR RIVER IN PEACEFUL PIRATES LANDING. ON PAVED CITY STREET WITH 50 AMP SERVICE (200 AMP AVAILABLE) CITY WATER, SEWER AND CABLE AVAILABLE ON SITE. GREAT FOR YOUR MOTOR COACH, RV, OR PARK MODEL (MAX 400 SQ. FT). SOME DEED RESTRICTIONS APPLY (SEE DOCS). GREAT FOR WEEKEND GETAWAYS OR WINTER GUESTS. WATCH THE SHRIMP BOATS, DOLPHINS & HERRON ON THE RIVER. PLUS ONLY MINUTES TO THE BEACH!! !